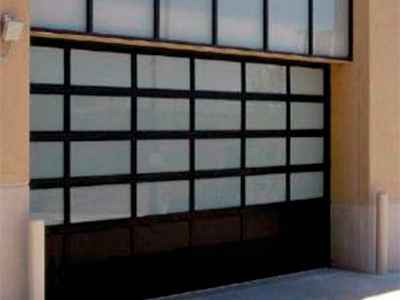 CITY GATES aluminum sectional doors offer an attractive solution for commercial and industrial applications where visual access, light infiltration and aesthetics are key design considerations. Offered with a variety of stile widths, glazing materials, track styles, and finish options. 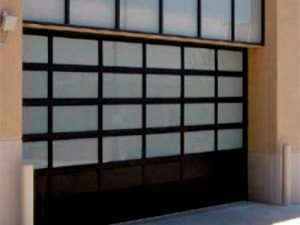 Ideal for service stations, fire stations, professional facilities and retail environments, our sectional aluminum doors are practical, durable and handsomely styled—and engineered for long life, low maintenance and enduring beauty. Our commercial aluminum door Model CGFV-A has a standard frame featuring a narrow width and an array of frame finishes and special custom options in door sizes up to 16’.